MOTORISTS travelling from Carn to Ballyliffin have been warned about a lengthy road closure next week. 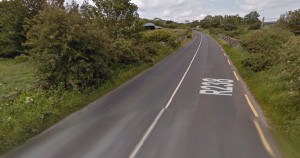 From 8am on Monday, August, 22, to 5pm Friday, August 26, part of the main R238 road from Carn to Ballyliffin will be closed to all traffic due to a major road works project at the Carndoagh Bridge. The project will cause serious traffic disruption with the complete road closure, however Carn Councillor Albert Doherty said it is necessary to replace the Carndonagh Bridge. He said the Bridge, which is located within the town land of Carndoagh and Strath, is in a dangerous state of repair and is at risk of collapsing completely. Cllr. Doherty said it is a ‘very welcome’ replacement of the old bridge, adding that the work must be completed within the month of August to ‘facilitate the Inland Fisheries’. Check out this week’s Inishowen Independent for information on the closure and the diversions that will be put in place.